Rotary Club of Solapur East, Maharashtra conducted a kite-making workshop for 1,017 students during the Rotary International Kite Festival 2012 at Shivaji Adhyapak Vidyala on Jan 21, 2012. set World Records India and Limca Book of Records, kite workshop was handled by Ashok Shah and Pavankumar Solanki ( Founder of Royal Kite Flyers Club ) . 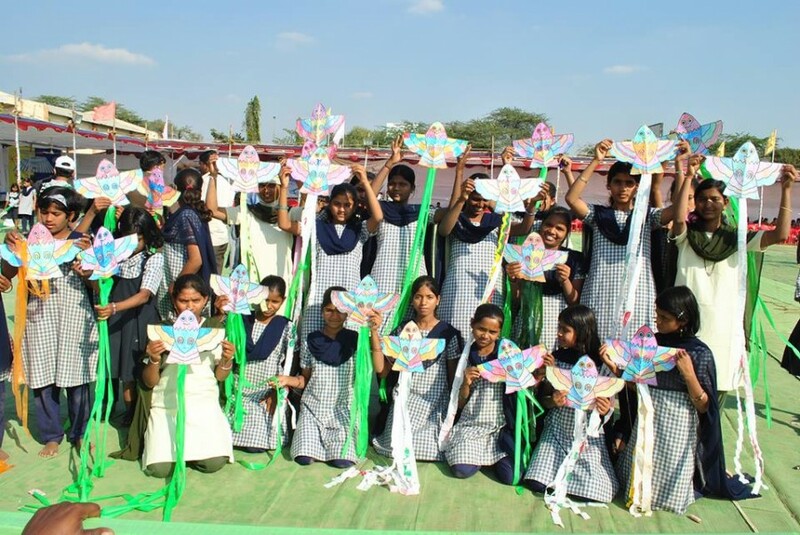 Students painted the kites, stuck tails and tied thread of manja. Through this event, citizens of Solapur who have a strong community spirit and bonding passed on two most relevant messages – Save the Girl Child and End Polio Now.